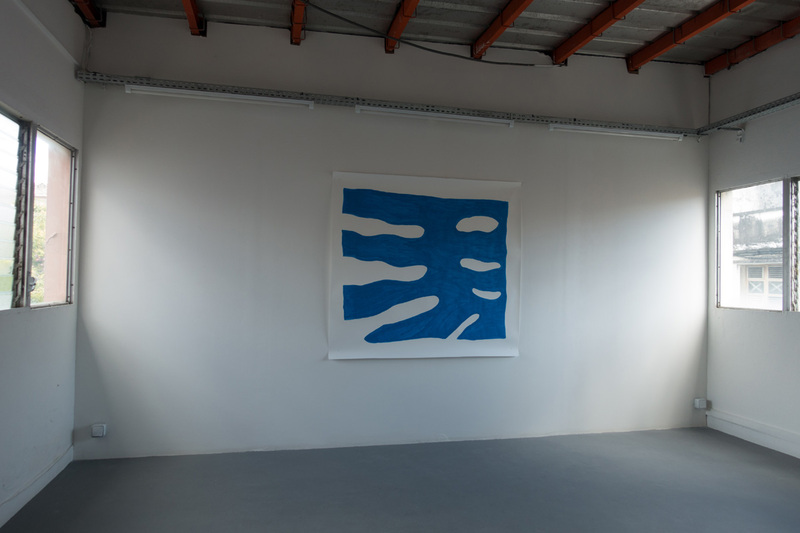 caryl* ivrisse – crochemar & [ creative renegades society ] are pleased to welcome and present the exhibition of Berlin based Austrian artists, Ariane Müller and Martin Ebner. 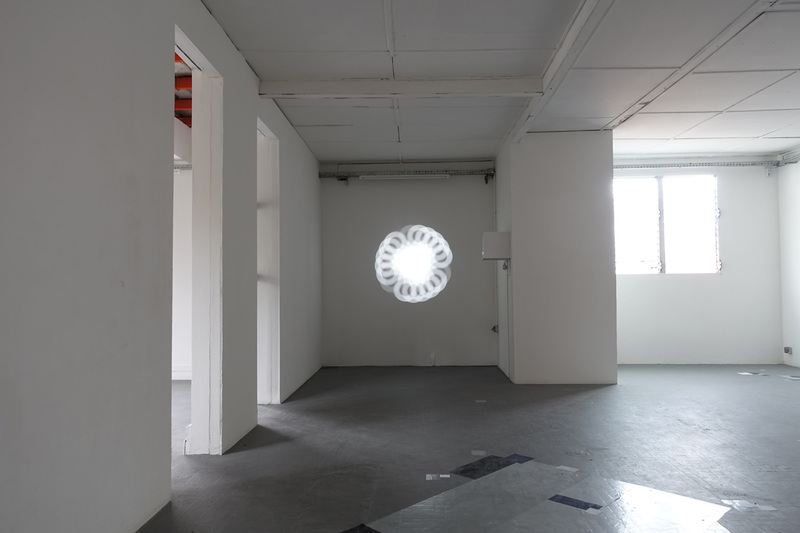 For their exhibition titled „Shadow Projector“ at espace d’art contemporain 14°N61°W Ariane Müller and Martin Ebner create an artistic environment which blends aspects of the bourgeois interior with the perception of the outside and public through drawings, prints, and a video installation. 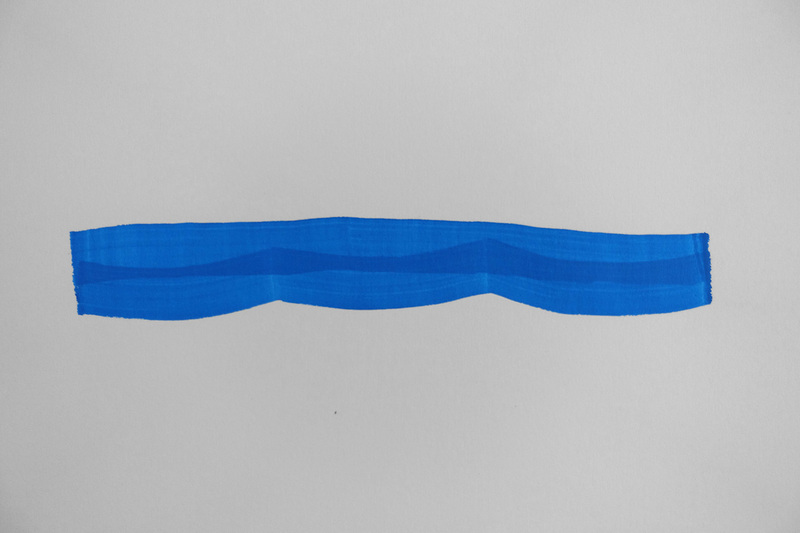 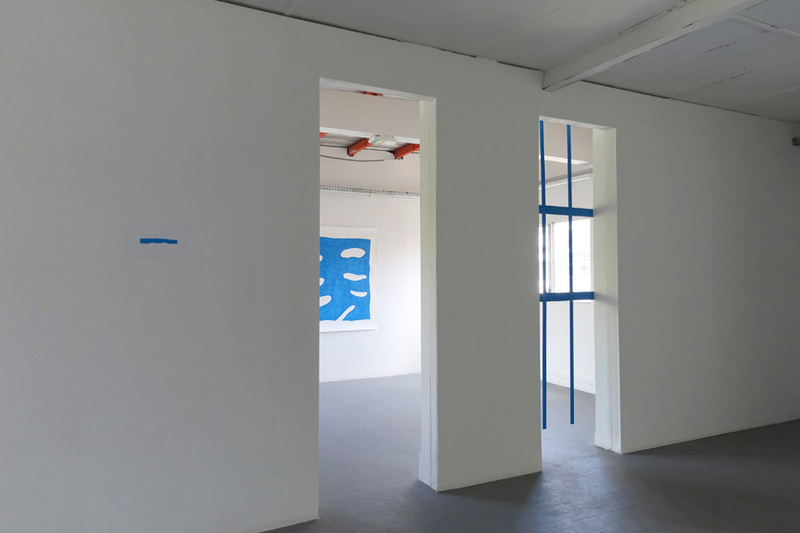 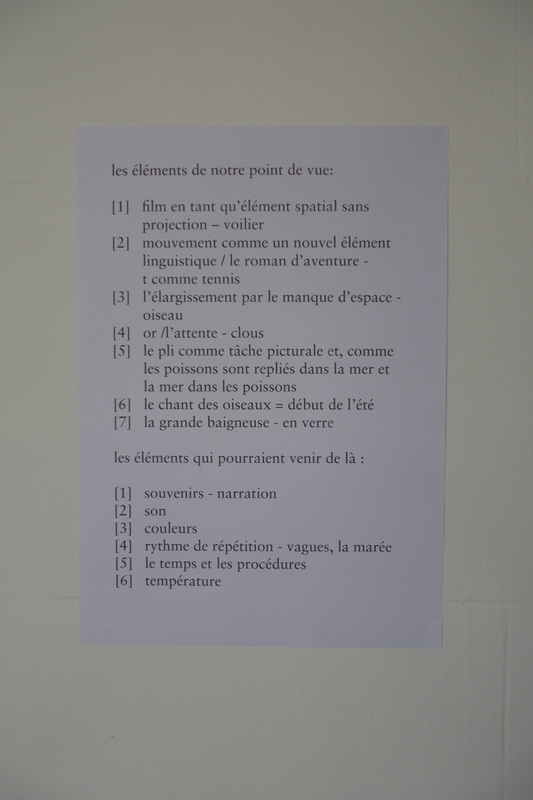 The color primary blue was used as the starting point of the artists collective process to translate a list of words, and related concepts into the space. 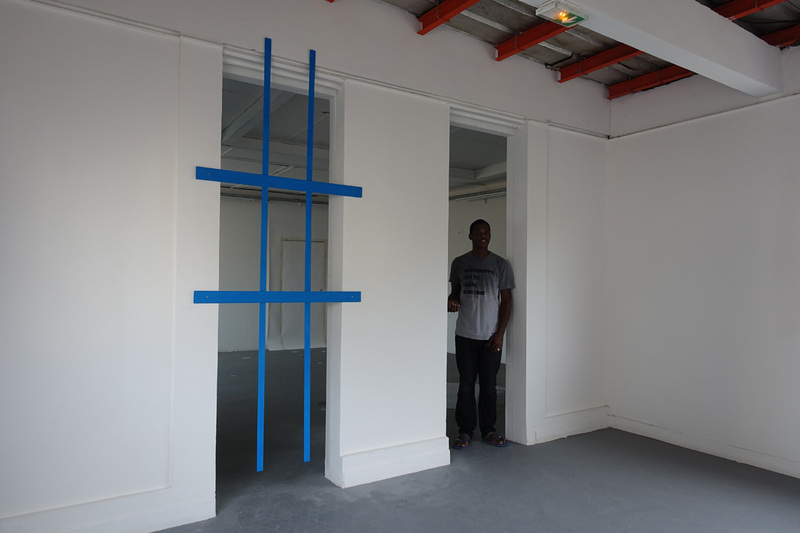 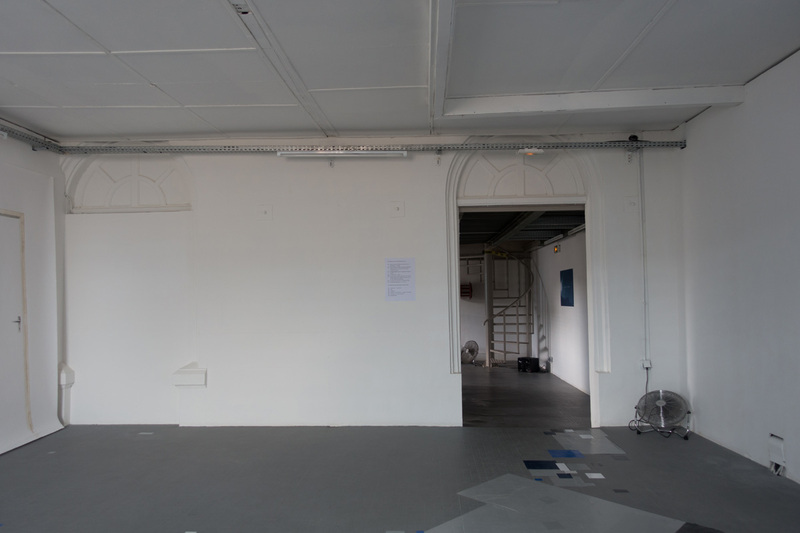 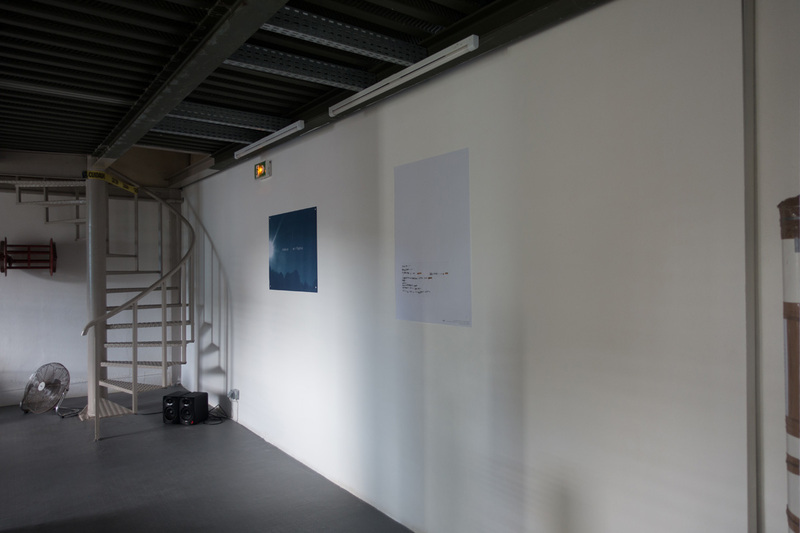 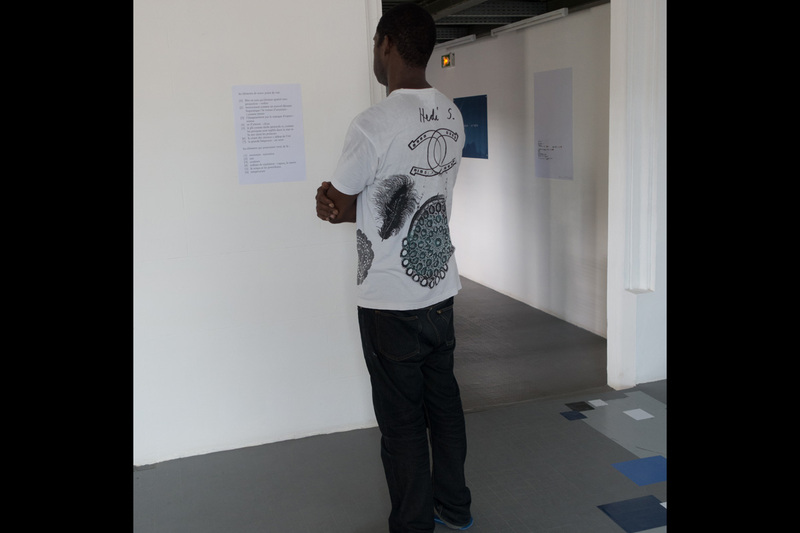 This effort initially started in Berlin and got modified and adapted through the development of the installation in the context of Martinique and the specific situation of the gallery space. 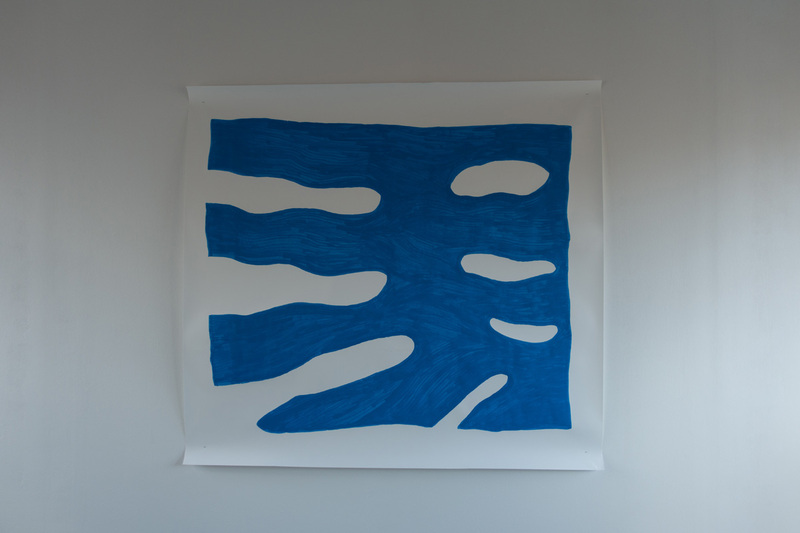 A joint large blue drawing of leaves of Monstera foliage evokes the famous cut outs of Henri Matisse, La Piscine. 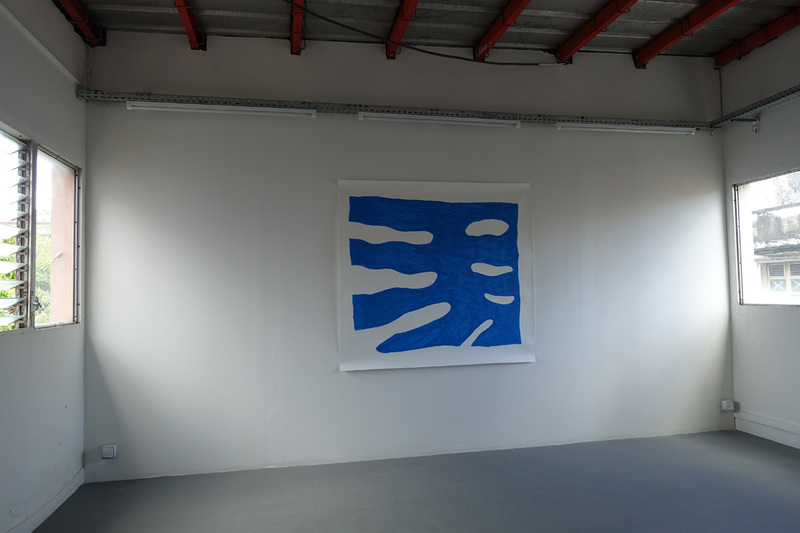 This association is not involuntary, it hints to Matisse reduction of painting to form and color, that relied on objectification and a reduction of concepts, and persons to a consumable image. 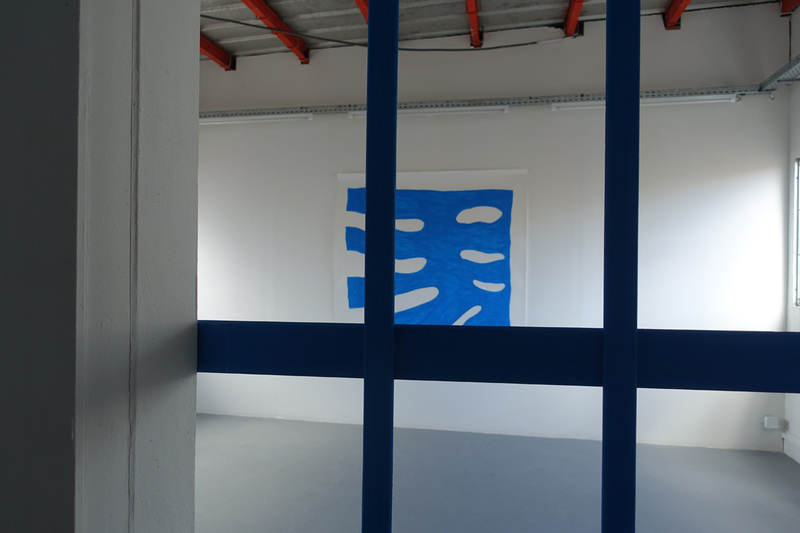 As an architectural intervention, one of the two entrances connecting the two main exhibition spaces is blocked through a lightweight wooden grid, also painted in blue. 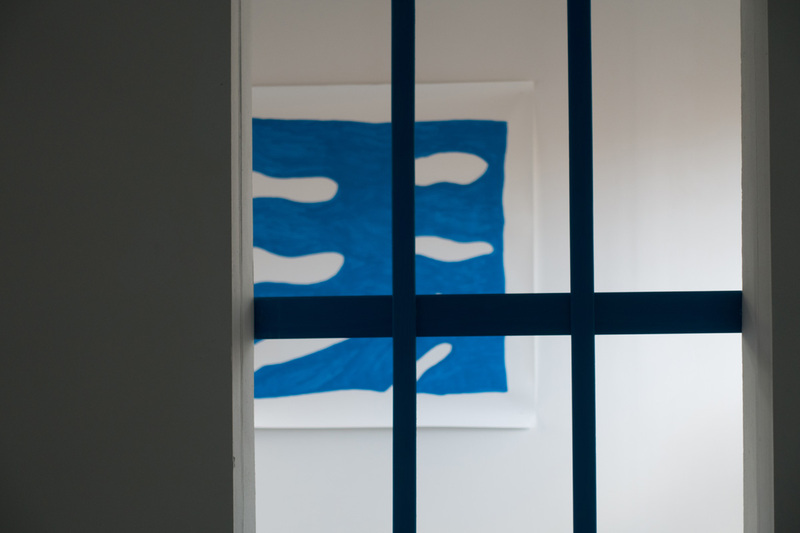 Through this limitation of choice of entrance, the plant’s presence in the room gets enhanced, and an inside-outside relation is established. 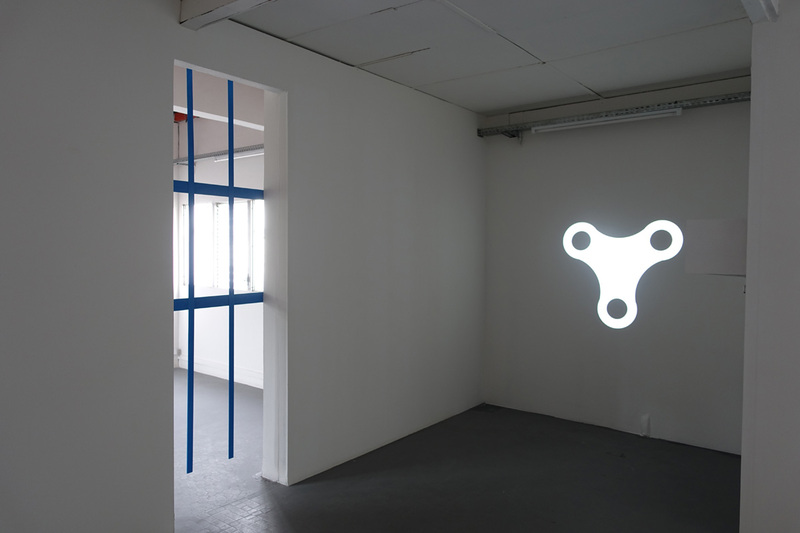 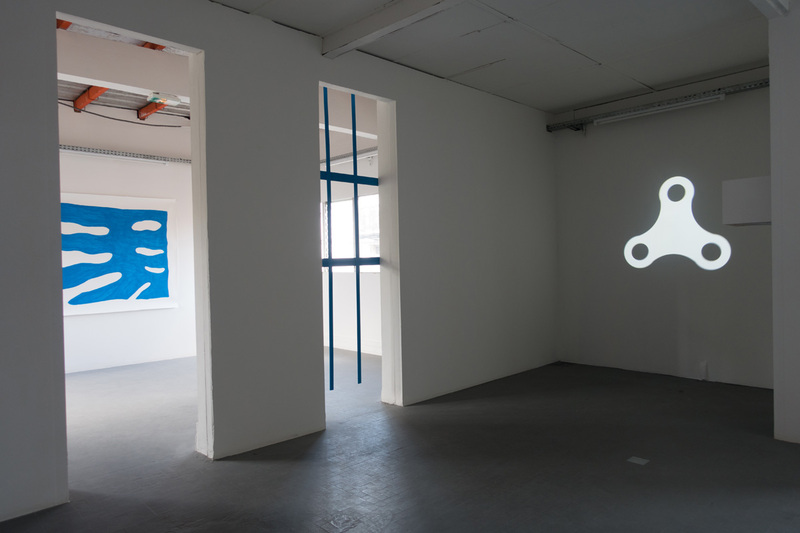 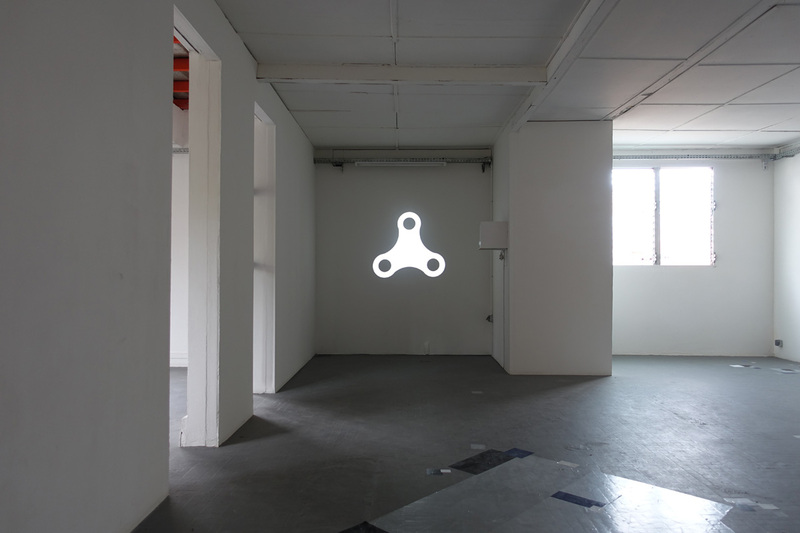 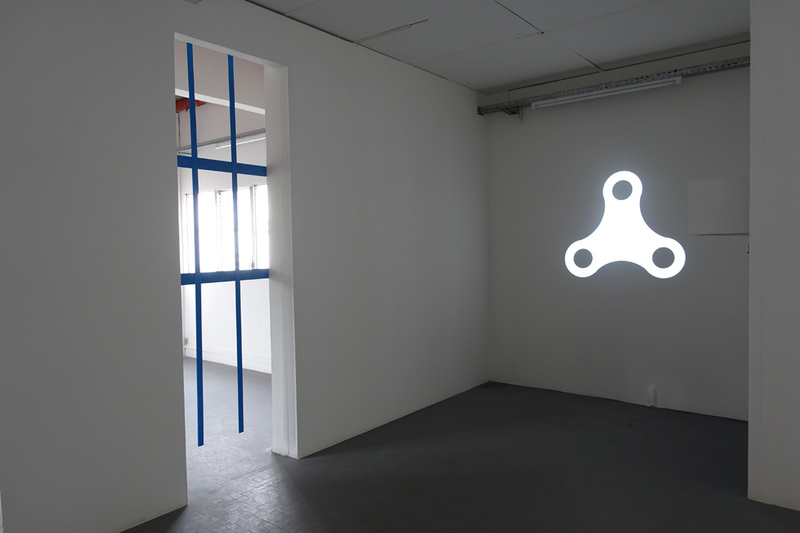 In Martin Ebner’s video installation, a white rotating „hand spinner“ shape is used to uncover some hidden formal aspects of this popular object, changing its appearance from a toy to a tool, to a face, and while rapidly spinning, even a flower or a star. 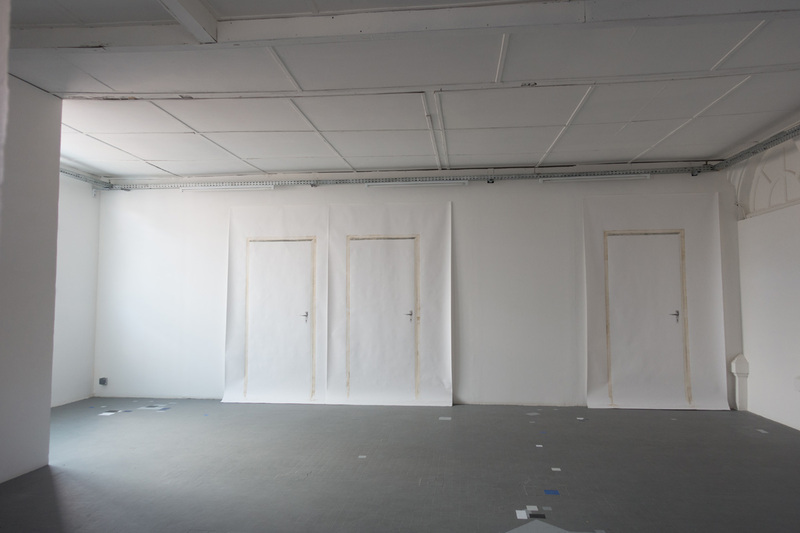 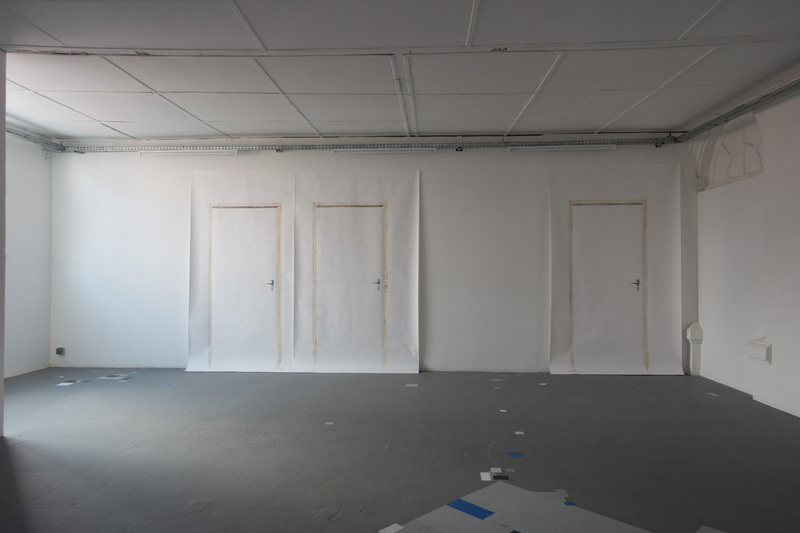 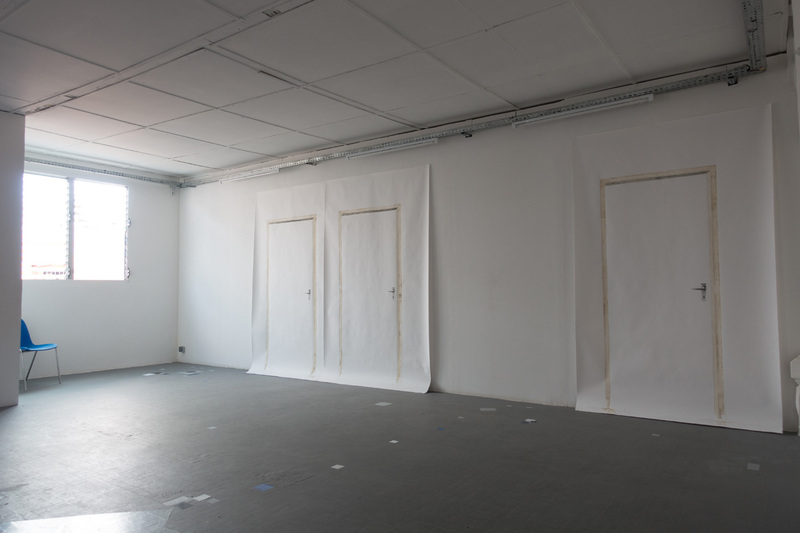 And on the large wall to the right, extending the space towards the imaginary, Ariane Müller’s life sized prints of doors are playing with different techniques of creating a realistic image, that clashes with the unlikeliness of its content. 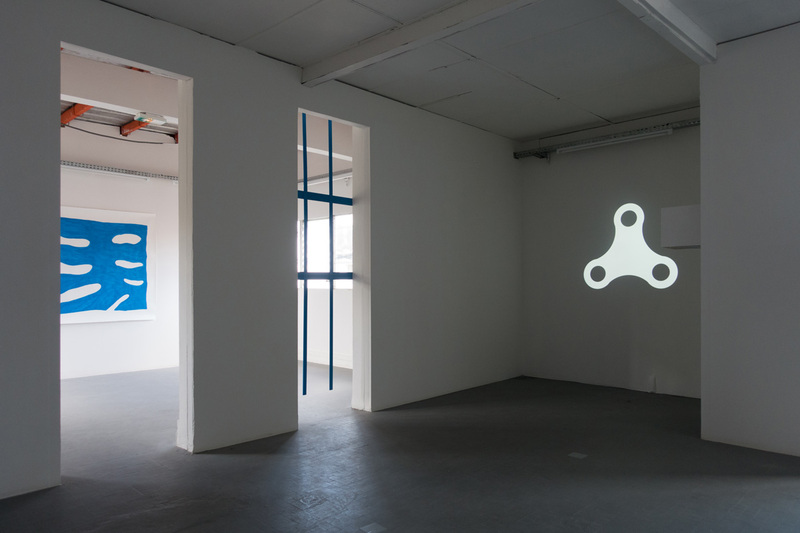 In extension and addition to their exhibition, Martin Ebner and Ariane Müller will conceive an audiovisual presentation at the gallery, focusing on former works and developments of the two artists, as well as presenting the newest issue of STARSHIP Magazine, an international bilingual art magazine focussing on contemporary art and writing, which they publish together with Nikola Dietrich, Gerry Bibby and Henrik Olesen in Berlin.